After you read this, make sure to visit Tressa@Tressa's Wishful Endings: Melissa Wright: Bound by Prophecy. I'll leave you to Patty. Most people don’t pay conscious attention to body language because we are taught to communicate by word and by tone. Unconsciously, though, the impact of body language is huge. If you don’t believe me, the next time you get in an elevator, pick a person and stare into their eyes. I was heavily involved in drama club when I was in high school and took a class or two in college, too. That’s where I learned to use body language to convey both emotion and to direct attention away from me. On stage, shoulder position is better than facial expression to convey emotion. That’s also where I learned how hard it is to stare closely into another person’s eyes without laughing because the “unnatural” intimacy forces most people to try to convey that they understand that such direct eye-contact is an aggressive imposition. Once I was aware of body language, I put it to immediate use in two areas. I am a horse person. When I was very young, perhaps influenced by C.S. Lewis’s The Horse and his Boy, I wanted to have the ability to speak with horses. It was only when I was older that I discovered that horses speak more eloquently with their body than people do with words. If my gelding pinned his ears at another horse in the pasture, that meant “back off or face the consequences”. I soon learned to use my own body to communicate back. A square stance, rapid pace, and aggressively looking a horse in the eye can send a horse to other side of the pasture--which is fine unless you are trying to catch them. I find it ironic that a lot of “training” a horse is teaching them to speak our language, though we are supposed to be the smarter species. Just about the time I was discovering all this about horses, I met Mike, figured out just what a rare man he was, and married him before he could get away. Smartest thing I ever did. And through Mike, I met his family, terrific, wonderful lovely people. When readers ask me how I came up with my werewolves and how they interact, I point them at my husband’s family. Mike is the oldest of seven kids. Including parents and kids it makes nine, and I don’t think there is a single type B or nondominant person in the whole bunch. Mike’s dad is a marine (and so is his uncle). Mike’s brother (the tall and easy-going one) is prone to say, “I don’t think you guys get it. I am only tall and easy-going if the only people you compare me to is my family.” Intense doesn’t even come close. They grew up in the woods of Montana (not too far from where Bran’s pack lives) and most of them, especially the women, travel armed at all times. They love each other to death and the only reason they are all alive and happy--and they are a happy family--is because they are quick-thinking, quick on their feet, and they pay attention to body language. And when, in college, I did a lot of studying about wolves (partially because Mike’s sister had a 15/16th wolf), I realized that his family operated, as closely as a human family could, like a wolf pack. They care about each other and they each have well-defined, if sometimes changing, roles in the family. All of the rules, mostly unspoken, are designed to create a healthy family environment and produce healthy (in mind and body) people who would (and did) go out and be happy healthy people--with a more highly developed sense of survival than most people. Here are a few more specific examples of how the Briggs clan is a little different from other people. I can remember when, in my first book, I had my spy character travel between her work and her home a different way every day, my editor told me that “people don’t do that”. Funny, I thought, my husband does. My husband walks into a restaurant and when we leave, he can tell me how many people where there, where they were sitting, what they were talking about (his hearing is abnormally good--and he pays attention) and how many people were carrying concealed weapons. Mike’s father taught him to drive. A typical lesson went like this: He’d take Mike up on snow-covered dirt roads in the mountains of Montana (think rugged and remote) and then he’d say, “You are being pursued by hostiles. Your right arm is broken and your clutch doesn’t work. Escape and evade. If your speed drops below forty you are dead.” My husband is a very, very good driver. Patty has generously agreed to send out one signed Mercy Thomson book. This giveaway is for US residents only. Lest my international readers be sad, a second copy will be sent out internationally, thanks to the lovely people at Orbit UK. Just enter the Rafflecopter below. Thank you for making this giveaway international! :) I've had the first book of Mercy Thompson series on my to-read list for a long time. It sounds great and I can't wait to start it! Patty~ Thank you for sharing your amazing talent with me through your books! Love to hear about Mrs Briggs inspiring in-laws. Big fan of her work and am looking forward to her newest book! But body language is really important, it's a bit like blinking. It's so natural but when you realise it and focus on it, it feels weird. Thank You! I love your books. A family member got me hooked. Love this series and the Alpha and Omega series. Started reading before Alpha and Omega even came out yet. I love them. Hilarious, glad to know other people take multiple routes to and from a place. 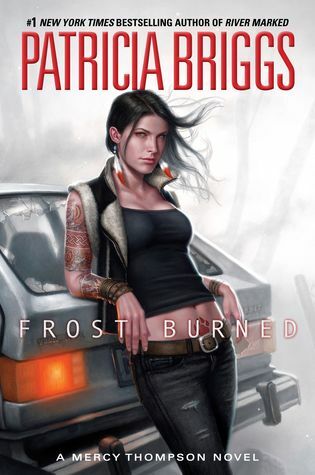 I love, love, love Patricia Briggs' Mercedes Thompson series. One of my go to re-reads as well. :-) Thanks for the chance at a signed book! Wow, such great background. It is always neat to learn things like this. Ooh I've always wanted to try this series out. Awesome guest post, I have mad love for this series and author! Oh I loved this post! I love this series and to know that a lot of her characters are based on real people (ans family no less!) is awesome. I totally agree about body language, I took a class in school about what a person's stance or sitting position tells about them and it was so interesting! Patty, are you sure your husband isn't a werewolf? lol, what a great family:) Sounds like you totally got lucky with your in-laws!!! Love your books! Love your description of your husband's family. Love your books even more. Have read them over and over. Anxious for the next Mercy Thompson book. Love this serie, thanks to win one of these books. This was fascinating!!! Thanks so much for sharing, Ms. Briggs! I loved her brother-in-law's comment about being easygoing only in comparison to his family, lol! What a great essay. I took a few acting classes, so i know body language can be even more important than the actual words spoken. I especially liked the bit about Mike learning to drive. That's just too funny! This is really fascinating! It sounds like she really did take inspiration from her husbands family for Brans pack! And the body language stuff is interesting, and so true! Having lived in Montana for a few years your description of your father-in-laws driving lessons were hilarious. My father actually couldn't teach me because he said I would probably get myself killed. Love Mercy, Adam, Anna, Charles, Bran, and both series! 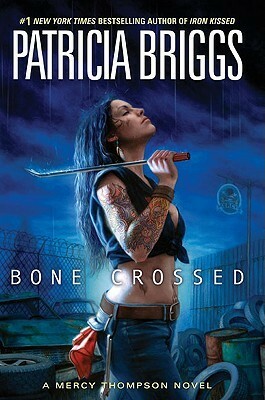 Patricia Briggs is one of my favorite Urban Fantasy authors. Thanks!! This is the best thing I've read all day. I love that you had real life inspiration for the wolves and Bran in particular. You can tell a lot from someone's body language! That post was pretty fascinating!!! I picked up a copy of Moon Called several years ago, and I've been a fan ever since. The Mercy Thompson series is one of the series I made sure to take to college with me. It's a series my mother and I both love and can bond over. Mercy is an amazing, strong character, and I love every book. I'm also a big fan of Patty's other series, as well, and I recommend them to everyone I meet! thank you so much for the wonderful post. I really love this series. I found your explanation of body language fascinating. I never thought about it the way you explain it. I also think the next time I ride in an elevator I will try your experiment. I have the whole series but I've only read the first book so far. I also love the Alpha and Omega series. Loved this guest post! I found the insight and inspiration behind the wolf pack fascinating. I love Mercy and company and can't wait for Night Broken! Thank you for taking the time, Host here & Patty Briggs for doing this. Having met Mike Briggs a few times, I can believe this easily. Did you all also know he is an absolutely amazing resource on dozens of subjects? One of the jokes at PatriciaBriggs.com website is that if you wanted to know about ostrich farming on the moon, you'd automatically go to Mike, and he'd be able to help you out. He's also been compared against Chuck Norris. Chuck lost. I must convert more people to Hurogs. I would hate to learn to drive like Mike did! Driving in snow is scary enough! I love the Mercy Thompson series. I need to read the latest book! Thanks for sharing today, Maja and Patty! Patricia Briggs makes me so happy! I sometimes wish she would get cloned so we could have more books yearly! hmmm, do I now have to figure out who is who in mikes family vs Pack? A great article! Wow, if the books were already on my TBR list, after this guest post I'm so going to be bumping them up in there to read it as soon as possible! Patty love your books! Thanks for the insight on your inspiration for pack behavior. I absolutely love the series. It is in my top 5 all time favorites. I love that the inspiration came from his family that is to cool. I am a very vocal person with my body language when I talk. People say they can tell my emotions by watching my hands. Thank you for the great interview and giveaway. Wow; your husband's family is amazing. I wish I could be aware like that. It's great that you can have that kind of inspiration. Wow, what a neat family! That is awesome that your hubby is so observant and can gather that much info while having a meal at a restaurant. I haven't read any of your books but look forward to reading them. I absolutely LOVED reading this series!! So good!! I love that the author put Mercy and Adam together. I was wishing for that one! And I was really surprised that they did end getting together. I still need to read book 7. One of my top favorite series!!! Thank you so much for having such an amazing and very generous giveaway!! I love this series, and i had read all books on this series. Now i waiting new book from Mercy Thompson series. What an interesting interview! I haven't read anything by Briggs, so I can't quite put this into perspective (yet), but I'll have to return to reference this once I do start her Mercy Thompson series. Thanks for the giveaway! I wonder if anyone in his family was CIA? That sounds like a lot of ingrained situational awareness and offensive driving, which I know if part of the CIA (covert AND overt ops) training. I'm envious that his family can operate so well, given their alpha-ness....and knowing that, it makes me feel like a pack of werewolves could easily exist and operate within society! I can see why I love your heroes so much, Patty! Keep writing these fantastic books, cause I need good writers like you to read. I have wanted her books so bad. Oh wow, I love this guest post! I love that she takes inspiration from her husband and his family. I wish my BF had superspy skills like that, those are some serious James Bond/Jason Bourne skills. I adore this series with a fiery passion, and it's mostly because of the wolf pack dynamics and their relationships, so I really truly loved getting this insight into her writing process. Thanks for sharing! I love the Mercy series! Adam is one my favorite guys to read about! I have heard such great things about this author and her books, I can't wait to start reading the series. Great post, thank you for the giveaway and chance to win. I love this series! I'm behind and need to catch up. I love Adam <3 Thanks for the great giveaway! wow! i really want to read your books! it's so cool and the cover is totally rocking it!